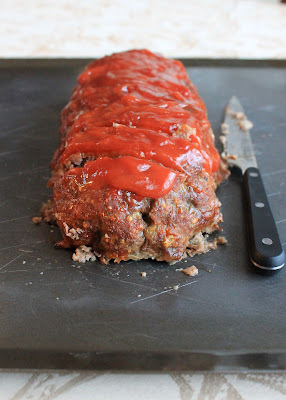 This week for Comfort Food Feast on FN Dish, we are making Meatloaf! 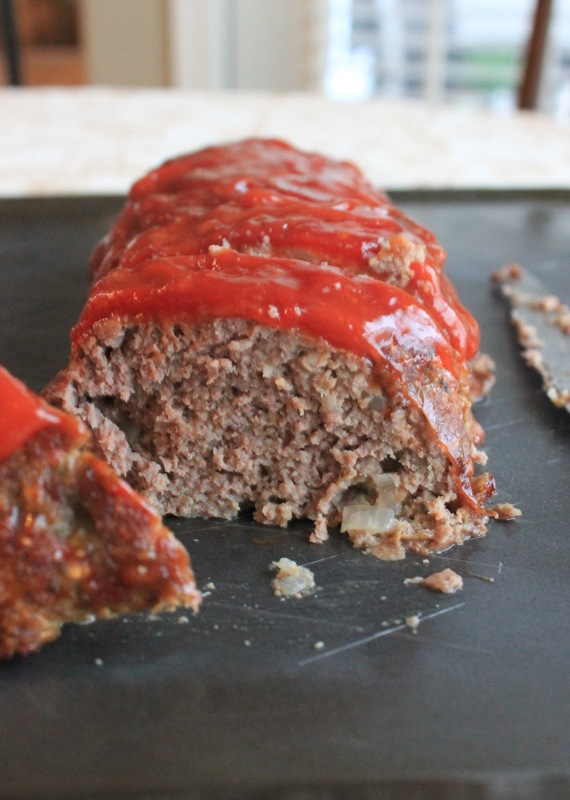 Meatloaf is one of those dishes that many people grew up with, including my husband. However, I never actually ate meatloaf growing up. In fact, the one time that I did try meatloaf, I got sick! After that, I always steered clear of meatloaf. In retrospect, I think I was actually just getting the stomach bug and that it was not actually the meatloafs' fault, but when you are seven years old, you don't exactly always think clearly! Since my husband loves meatloaf though, and after years of going back and forth with him on not making meatloaf for dinner, I finally caved and made him one! And as much as I hate to say it, because I am stubborn and like to win with my husband, I actually like the meatloaf! In fact, the dish inspired me to think of ways to keep the classic taste, but play around with the ingredients to find the perfect combination. Below is what I have come up with thus far! Place all of the meatloaf ingredients into a bowl, and using your (very clean) hands, combine all of the ingredients. Then, in a separate bowl, mix together all of the ingredients for the glaze. Remove the meat mixture from the bowl and form into a loaf on a pan or baking dish. Spread about 1/3 of the glaze over the loaf. Place the loaf in the oven and bake for 45 minutes. Add about another 1/3 of the glaze after the 45 minutes, and then cook for an additional 15 minutes. Once the loaf is done (internal temp of the meat should be 155 degrees and/or no longer pink), remove from the oven and you can either top with the additional glaze or save it for serving, which is what I like to do. Slice it up, serve warm with the extra glaze, and enjoy! Meatloaf is one of my favorite meals, I actually just had some last night. Thanks for sharing, can't wait to try this! I just stumbled onto this recipe off of pinterest, and made it tonight. 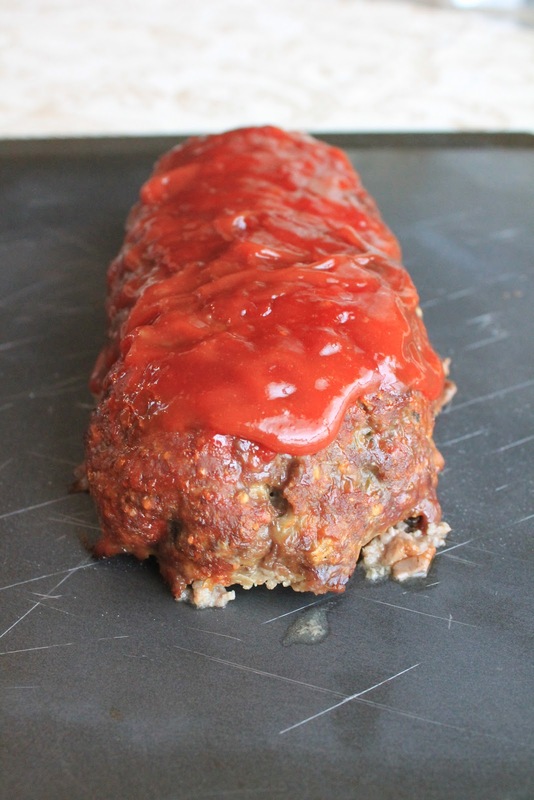 Let me tell you BEST Meatloaf Ever! This is going to make it into my recipe book :) Thanks for such a great recipe! I made this recipe multiple times & it is very delicious!! I made extra ketchup sauce & added some to the meatloaf mixture along with green bell peppers. I paired it with mashed potatoes & it was a hit. Thank you for sharing!!! Hiya, great recipe! Just one question, how many servings does it make? for the parmesan cheese, do you use the grated stuff or does it matter? I used grated, but you could shred too! My husband told me he hated meatloaf, but i made this and he loves it! Just made this but with ground Turkey and it was the best meatloaf I ever made!! The guy I am dating tore into this! He loved it! Adding this to my recipe list! I made this tonight and my husband and I both loved it! Great recipe! I am not the world's best cook and am trying to plan some freezer meals for a couple weeks from now because we're expecting a baby and I know I'm not going to have the energy! I was wondering if this could be frozen? If so, at what point would you freeze it- before or after baking? This definitely can be frozen and you can freeze before or after cooking. However, I would recommend (and I prefer) freezing before cooking. I usually make it, form it into the loaf, and then wrap up and freeze. That way when you go to cook it, it will not lose any of the moisture and taste! Very tasty and moist (one thing I can't stand is a dry meatloaf, not this one!) and I have a feeling it will make great meatloaf sandwiches tomorrow. Thanks for the post! (I found the glaze instructions left me questioning--but I am tired -- it's 6 pm and they are in the oven). Very delicious however onion was raw next time I'll cook the onion before adding to the meat mixture. I have never cooked meatloaf until tonight. This recipe was absolutely delicious! I will definitely make it again! 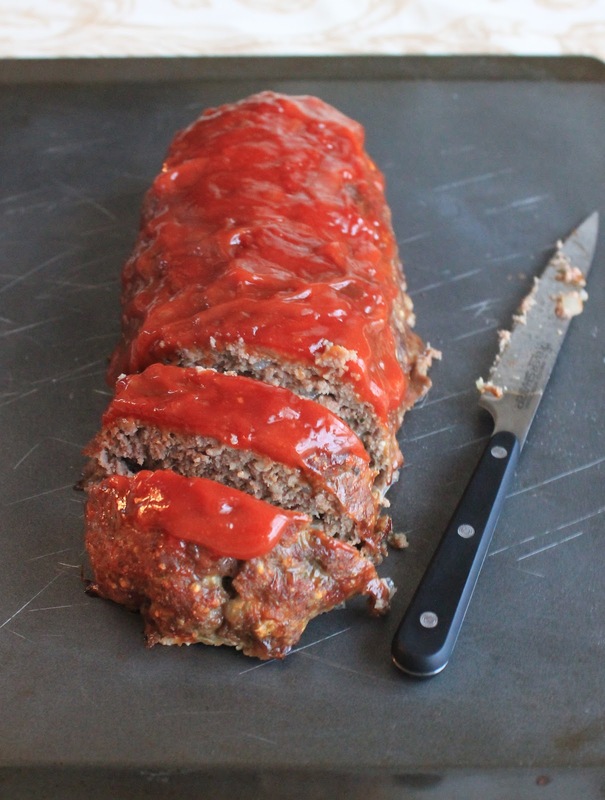 This meatloaf is delicious! It heated up moist and delicious the next day as well! This will definitely make it into my family rotation!